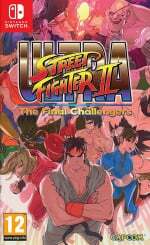 Not many games have prompted gamers to argue about pricing quite as much as Ultra Street Fighter II: The Final Challengers. It delivers a fun edition of a flat-out classic, but has a few sloppy 'additions' that don't do it too many favours. Now that we've played a bit of online we've added a score to our own review, which will make for fun times in the comments. Once you get past the pricing it is still an excellent fighter, but it is interesting to see in detail what Capcom has (and hasn't) done to make this an 'Ultra' final edition. 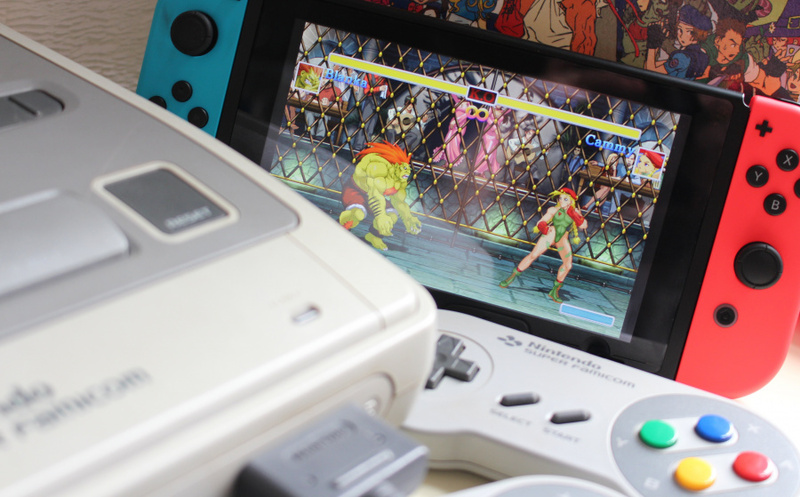 Our chums at Digital Foundry have therefore done their analysis, also breaking down what's been re-used, adjusted and changed from the previous download-only Super Street Fighter II Turbo HD Remix. All told some interesting observations there. Is this a release you're tempted to pick up, or perhaps you're waiting for a discount? Let us know in the comments. Even if I wanted this I would need two pro controllers to have any fun with multiplayer, and the dpads not that great on the pro controller anyhow. Thank god disgaea five is here, its not perfect but its much more fun and a better hold off for E3/ARMS/Splatwoon. The loading times in this game are utterly embarrassing and unacceptable. It takes as long as, if not longer, to load a SF2 match, with its simplistic, unsophisticated, undetailed, barely animated graphics as a track in Mario Kart 8 Deluxe. I've only bought this because it's an early piece of software, and I was looking to expand my collection. I would never have bought this had it been released, say, more than a year into the Switch's lifespan. The lack of content and polish is completely unacceptable for the asking price. Still enjoyable, sure, but the asking price for what you get is just obscene. No two ways about it. If people are unhappy with the price . Simple solution don't buy it ! @lemonjellydude Don't bring your logic to the internet, are you crazy?! @sillygostly That's really bad for a game like this. Eurogamer said the load times were really quick. It was a pretty scathing review but that was one of their positives so I'm surprised to read your comment. I will say, though, if you enjoy this, then the price is not an issue. Please, my fellow-gamers, enjoy, & happy Memorial Day weekend 2017! @Shufty Actually ordered one haha, I completely forgot about it. Still third party controllers arent something I would want to be recommended for a fighting game. I know it happens on other consoles as well but at least they have a dpad. The removal of 4:3 mode in HD is a deal breaker for me. I dislike the zoomed-in view. I don't believe Capcom is aware of our lord and savior, Fightcade: an active place where you can play SSF2T against as many people as you like, with any controller you wish - for free. @Menchi187 The artwork is too much like a vector-based Flash game. If it were actually like a decent comic, drawn/painted by a skilled artist, then it would have been better. I want this. In fact my copy will be arriving today just in time for Memorial Day Weekend. I love Street Fighter, and having a remastered, HD version of the classic SFII series is a must. @lemonjellydude i can complain because i expected something better from Capcom. I don't like the UDON art syle. It looks Too Western for me, like drawn in Marvel comic style. I still plan on buying this... eventually. But damn, that new announcer is already annoying. Did they finally run out of the contract on the first guy? Price is not an issue for me, so I'm really excited. I also ordered the SFII anime to complete what should be a great SF weekend! I do wish they put out an update to get the clouds moving in Ryu's stage and the boat bobbing in Ken's stage. Adding the hammer & cickle USSR stuff on Zangief's stage should also be added. Despite that, the game looks sharp. I hope they add that stuff via a patch, although I'm not too hopeful. @ThomasBW84 the storyuken? Really? That the best you got? I would fist bump you if I could you genius!!! You deserve a medal for that subtitle. @SmaMan I just saw the video. The announcer really is bad. Capcom doesn't seem to care about the details when it comes to Street Fighter 2. It goes back to Super Street Fighter 2 and they changed Guile's voice to something not right for the character. "Sonic Boom" sounded laughable in that game. I know, right? Just from that video you can hear that they didn't keep him to the right time, as his "Round 1" and "Fight" overlap slightly enough for it to be noticeable. I mean, come on! I've been involved with fan (and professional) voice projects where you absolutely have to keep each phrase to a certain time. That's just lazy, Capcom. @MegaMari0 I serve to please. @lemonjellydude Or maybe people who were otherwise interested in getting this are merely expressing disappointment because they're left with the obvious choice? I know I'm one of those people. I took the plunge with Bomberman (which I got for an okay deal compared with RRP) because at least that was 'new' and I had a game at launch. With this, as nice as the core game looks, and as much as I'd like to own it, the price tag isn't warranted. A shame. EDIT - In watching the first person mode, I can't help but think that maybe they should have included punching and combos as well. Granted every review complains about the controls being bad anyway, but it seems like it had potential. Hell, even a first person vs mode. If they pulled that off, it might have been worth the price. Also, don't add in the utter **** that is the Hado mode or any crap like that; it's just not necessary and actually pulls down the quality of the overall game imo. Actually picked up the game this past Friday and, @sdelfin, I have some great news related to your comment! If you pick the "classic sounds" mode in the options, Guile will have his original, non-Super Street Fighter II voice! ...So I guess they weren't completely lazy. @SmaMan Thanks for the follow up. That's good news, and a bit of a surprise. I hope you enjoy the game and don't find too many issues with it.